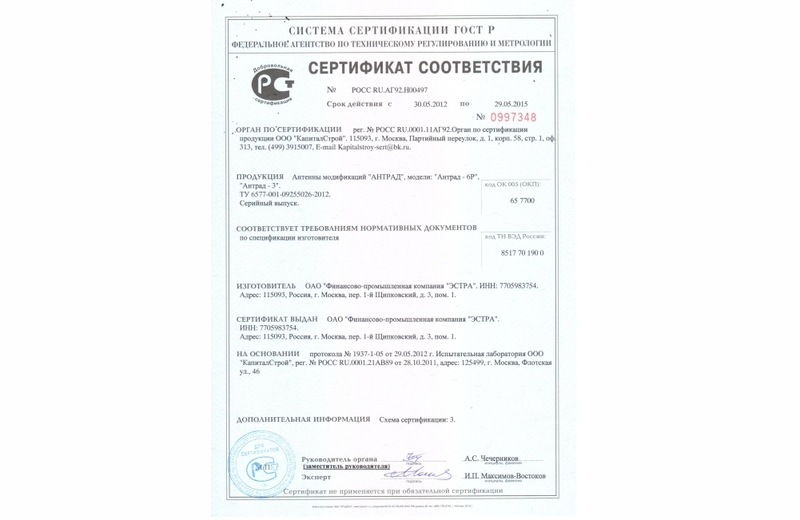 Certificates of conformity for our products – Ледомер. Георадар. Контрольно-индикационный прибор Пикор-Лед. Официальный сайт ООО "ФПК "ЭСТРА" производителя георадара Пикор. 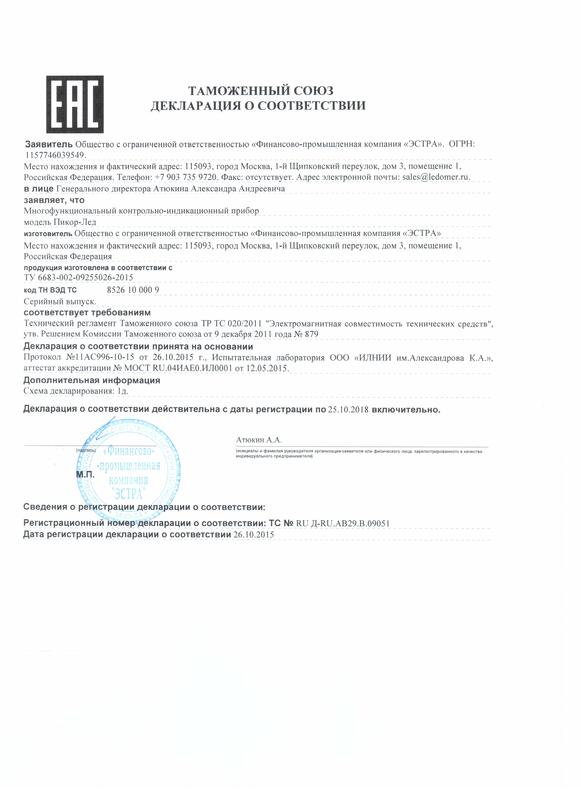 JSC "FPK" Estra", our official dealer, received a certificate of conformity in certification system of Gosstandart of Russia for the measuring instrument "PicoR-ICE", UWB PCB antenna "Antrad-3" and horn antenna "Antrad-6R". The company received an environmental compliance certificate for measuring ice thickness "PicoR-ICE". Ice-meter fully corresponds to the single sanitary-epidemiological and hygienic requirements for products. Production of our department ultra-wideband systems and technologies available in the service of EMERCOM, institutes of the Russian Academy of Sciences, as well as private commercial enterprises of Russia, near and far abroad. Our meter ice thickness adopted Moscow search and rescue service on the water objects, being tested in the State inspection of small vessels of EMERCOM. Ultra-Wideband antennas "Antrad-3" are used in the laboratories of the Bauman mstu, Moscow, Russia and in Portland State University (USA). Our modules and blocks are used to develop instruments to search for people trapped in rubble, searching for mines - for ground prenetration radars (GPR) any ways. The development strategy of our Department is taking leading positions at the market of UWB (ultra-wideband) systems and modules. The company JSC "KBOR" quality management ISO 9001.